Short-lived perennial or hardy annual. 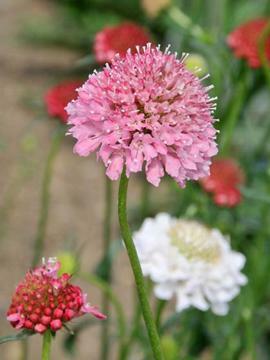 Produces attractive pin-cushion type flowerheads in summer, a mixture of pink shades from white to almost red. Well-drained, neutral to alkaline soil in sun. From seed or cuttings in spring.